A few weeks later, I was inspired to try it out. Now I feel crazy for not trying it sooner. Ultimately, I warmed to the idea because this would be one of a few strategies involving quizzes. 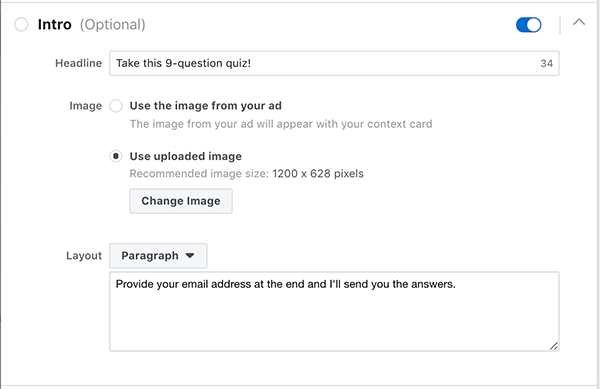 While the Facebook lead ad may not function the way a quiz would on my website, the benefits of experimenting with this would be huge. So, let’s take a closer look at the thought process, creation, and results. Why quizzes in the first place? How did I set this up? What kinds of results am I seeing? My email list is the backbone of my business. When it comes to generating revenue, it’s my list that is responsible for much of it. 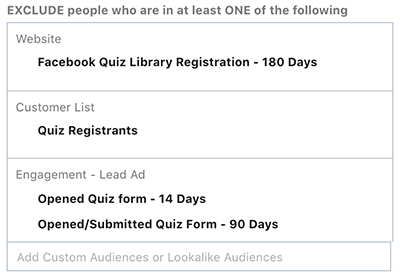 In many ways, I use Facebook ads backwards compared to most advertisers. I spend most of my budget promoting content (building a remarketing audience) and growing my email list. While I do run ads to promote products, my email marketing is then mostly responsible for the heavy lifting. During the past couple of years, my primary list builder has been a monthly webinar. But even if the content is largely the same from month-to-month, it takes a great deal of effort to do this. That’s why I stopped my monthly webinar after April’s edition. As a result, the growth of my list — though you could still register generally to my newsletter — lurched to a stop. And that, of course, is a problem. I need a fresh, active list to help drive revenue. When list growth stops, revenue is at risk. And so, I finally restarted my monthly webinar, albeit temporarily, in November. I’ll run it at least one more time, if not two. In the meantime, I’m on a mission to find a more manageable replacement. I’ve thought of turning my webinar content into a video series. But I also decided I’d experiment with quizzes. I learned a year ago with my 30-question quiz how engaging they can be. But what if I had more than one quiz? What if they were all 5-10 questions? And on a specific topic? I could create dozens of them. 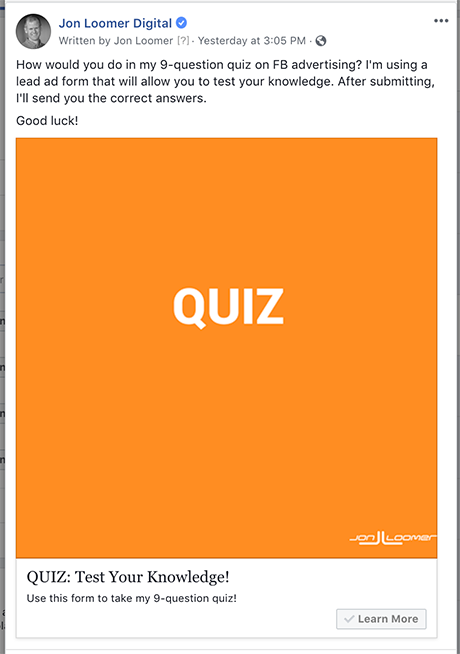 So, the first thing I did was find a quiz software (I chose TypeForm). I would use a single quiz to invite people in. If you wanted access to the (eventual) quiz library, you’d need to register. 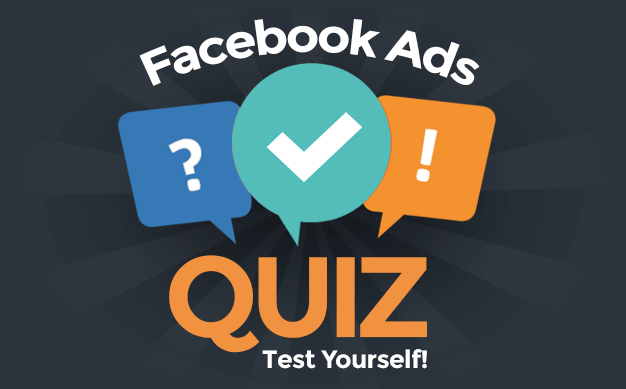 Okay, so what do quizzes have to do with Facebook lead ads? Can I use them to drive registrations to the quiz library? Or could I create a quiz directly within a lead ad form? 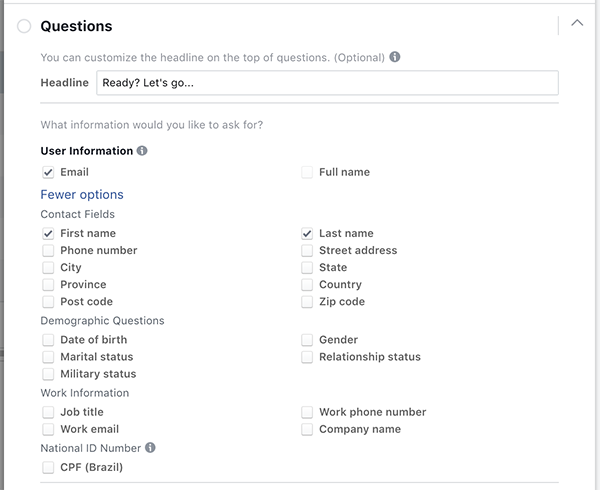 Lead ad forms allow the flexibility of creating custom questions. I can, then, add my questions to the form itself. 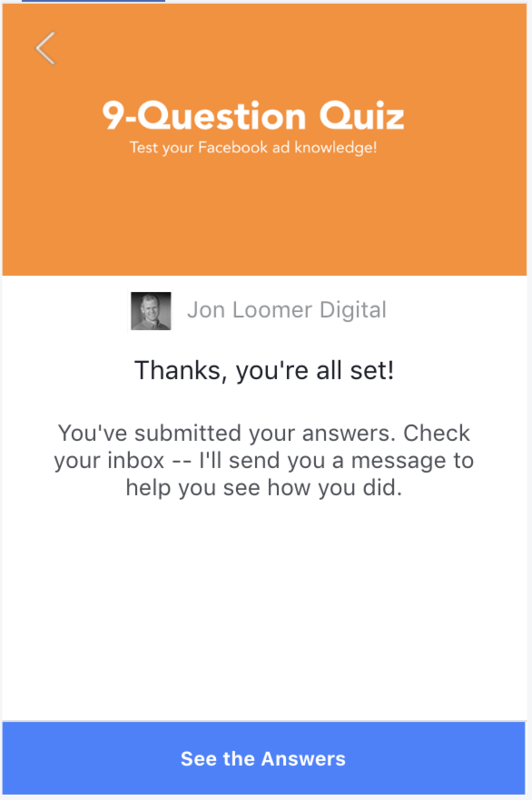 And if you want to see the answers — and participate in future quizzes — you provide your contact information to subscribe. The hope is that this form will be engaging enough to get people through a nine-question quiz (I’d use nine of the 10 questions from the embedded quiz above, removing one with long answers). To kick off this experiment, I created a VERY simple ad. I find that simple is the key to any experiment since it limits or eliminates delays. If you close the form, you’ll still receive an email from me with your answers as well as the correct answers (more on that later). If you want, you can click on the “See the Answers” button and you’ll be redirected to a page on my website with an explanation of all 10 answers. So, let’s walk through, step-by-step, how I did this — and how you might be able to do something similar. 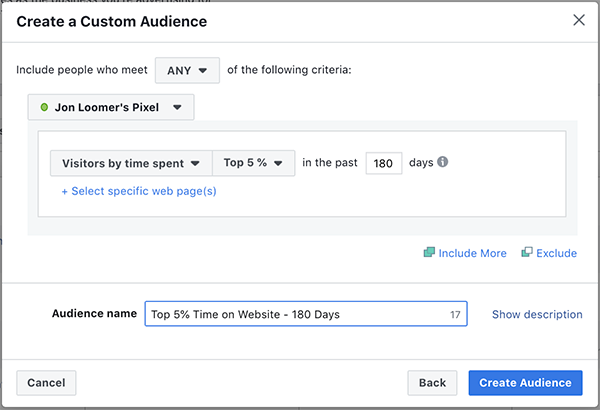 Create the copy with text, headline, and news feed description. You can now use a square image to take up more vertical real estate in the news feed. 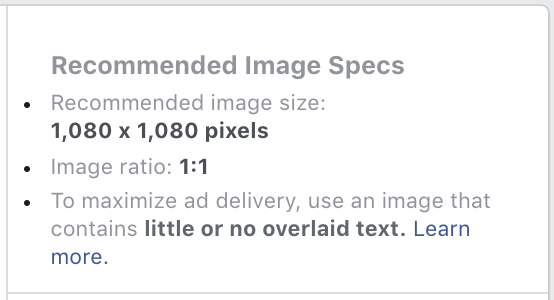 Facebook recommends a 1080x1080px image. When creating the form, I used the “More Volume” form type. I don’t know that it matters much in this case given anyone who submits the quiz will have to go to a lot of effort. But feel free to experiment. I added an intro that included a shorter (1200x628px) image and a prompt to provide contact info at the bottom so that I can send the answers. Within the “Questions” area, first I added a simple headline (“Ready? Let’s go…”) and selected the contact info I would need. In this case, I asked for first name, last name, and email address. 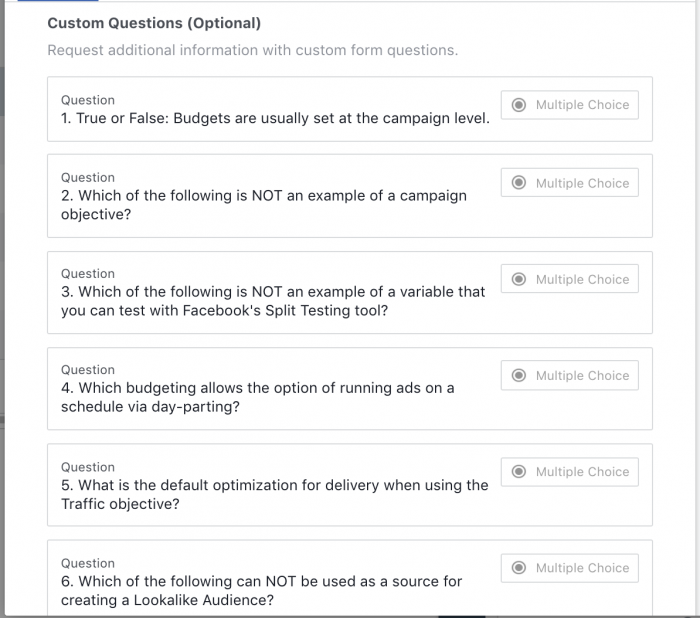 Next, I created custom questions. These would be the actual questions for the quiz. I chose to use multiple choice questions. Note that I have given people the option of viewing all of the answers on a new page I created on my website. You can send people wherever you want here. Whom you target with these ads is completely up to you. But something that can apply universally is how you exclude. In my initial test, I targeted people who are in the top 5% of those who spent the most time on my website during the past 180 days. After a successful initial test in the US, I created new ad sets for audiences in other countries. Another day later, I would create ad sets targeting lookalike audiences. But again, you shouldn’t necessarily copy that targeting approach. The people you target depends on the resources available to you. What is mostly universal, though, is the group of people you should consider excluding. Notice that I’ve excluded the people who have subscribed to my quiz library in three different ways. The reason for this is that no one way will capture everyone. Recall that some people could register via the form on my website while others do from the lead ad form. By excluding all three methods, there’s a better chance that I avoid targeting people who are already registered (though never guaranteed). Finally, I have excluded those who simply OPENED the form during the past 14 days. This way, I cut out those who poked around but maybe didn’t submit — at least for the time being. I’ll hit them again in a couple of weeks. This is a way to control frequency to a point. Another approach I like to take, but didn’t here, is using video instead of a static image. If you do that, I would also consider creating an audience of people who already watched the video (or a portion of the video) and exclude those people (either using the 14-day method or longer). Once again, this is a way to manage frequency. 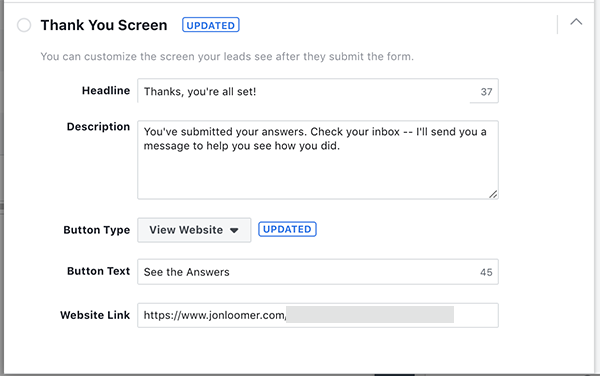 First, know that people who complete your Facebook lead ad forms aren’t automatically added to your email list without some third-party automation. I use Zapier for this (not an affiliate link). I create a Zap with a trigger of those who submitted my lead ad form. I use Infusionsoft as my CRM. The first action, then, is to tag the new contact in Infusionsoft. I then create another action of sending a Zapier email. 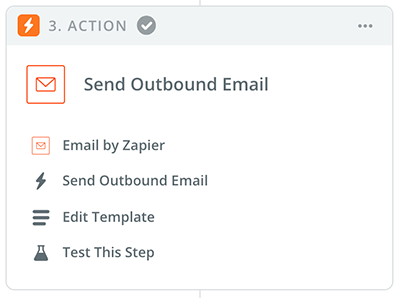 While I can also just rely on my email campaign in Infusionsoft, there’s a special trick that you can pull off in this Zapier email. 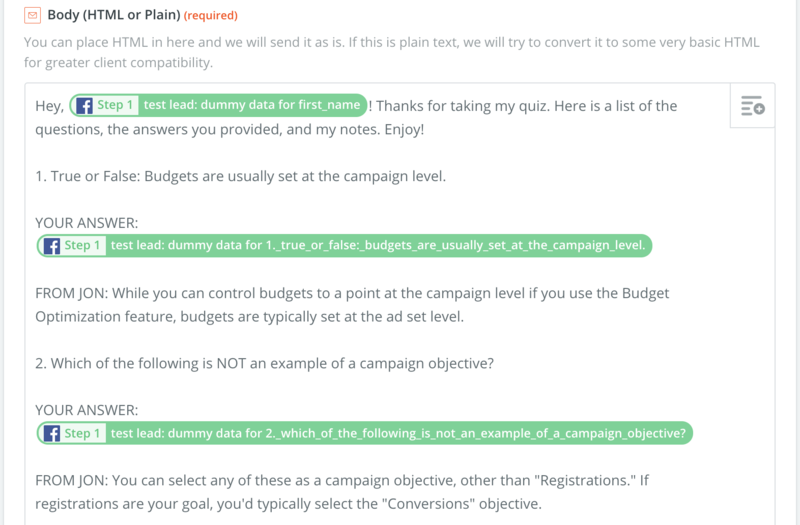 Since it’s connected to your lead ad form, you can pull in the exact answers. That can allow you to craft a more personal email. 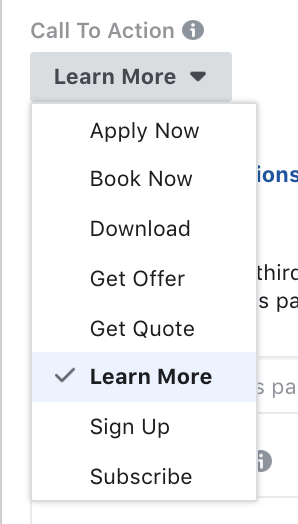 I’m sure there are ways to feed this info into your Infusionsoft contact and then craft a personalized email from there as well. But again, I opted for simplicity (Infusionsoft is always a beast). I’ve been pretty amazed by the early results. For the first four days of this campaign, I generated 61 leads at $.66 per lead. Keep in mind that the audience I was targeting was very small (top 5% of website visitors from the US who spent the most time on my website during the past 180 days). There are a couple of reasons why this cost per lead is impressive. First, all of the registrants are in the United States, typically the most costly country for a lead. These results aren’t being puffed up by a cheap country. Second, it takes a significant amount of work to complete this form. Normally, we’re told to limit the amount of information we request in a form. The more form questions, the higher the quality of the lead — though more costly. I combine countries in this case due to budget and sample size. For more info on how I determine countries to target and the budget, check out this recent blog post. The results? So far, another 61 leads for $.36 per lead. Look, these are small sample size results, and the costs are bound to increase in the coming days as I exhaust my audiences. But this is seriously encouraging stuff given 1) The typical cost per lead, and 2) The amount of effort that goes into completing this form. I created three more ad sets today based on the same countries but using lookalike audiences. It’s still very early, of course. 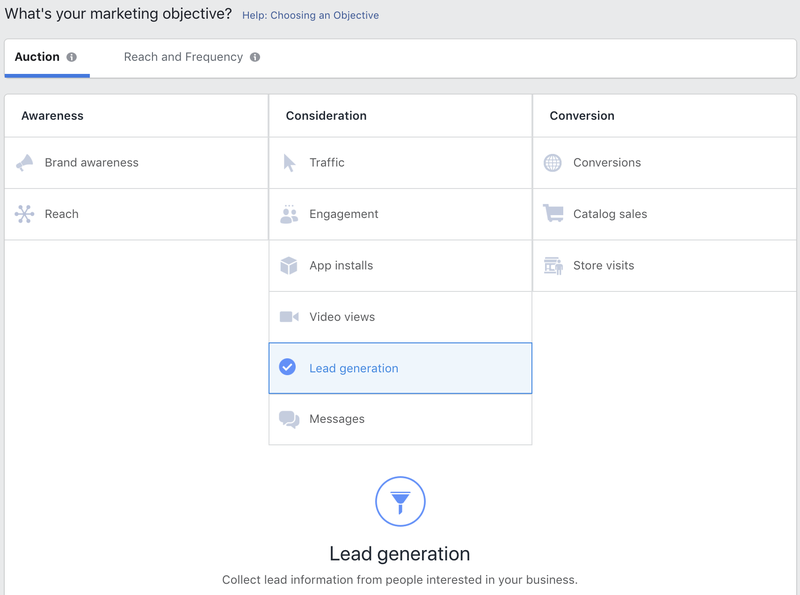 While the costs are higher (not surprisingly when targeting a cold audience), we’re still looking at cost per lead from $.72 to $2.40, depending on the ad set. This is one of many examples of using tools in ways that may not have been intended. I’m encouraged by the results so far. 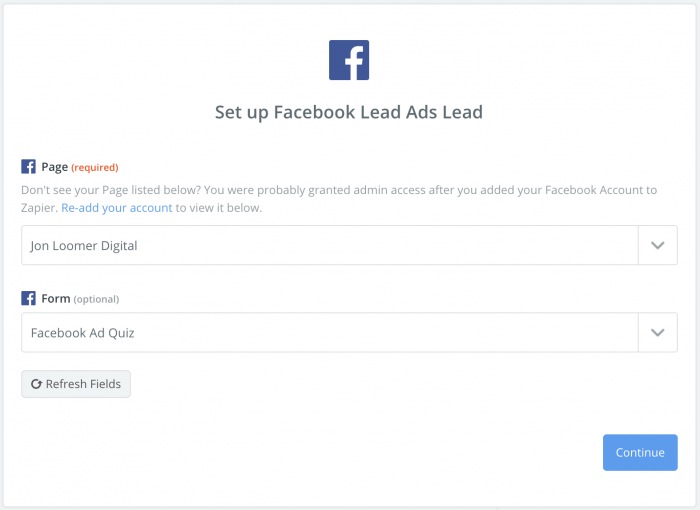 Have you ever used Facebook lead ads in this way? What types of results have you seen?